During Unit 6 in math, students were learning about the properties of polygons and symmetry. 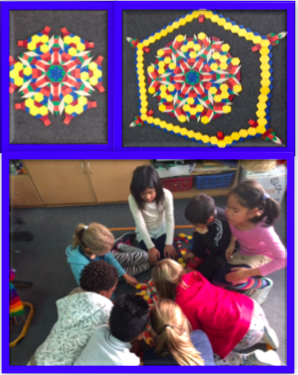 When given a little free time to explore with polygons, students independently created an elaborate design. Students worked cooperatively on the design whenever they had free time. The final design measures about 1 meter by 1 meter.